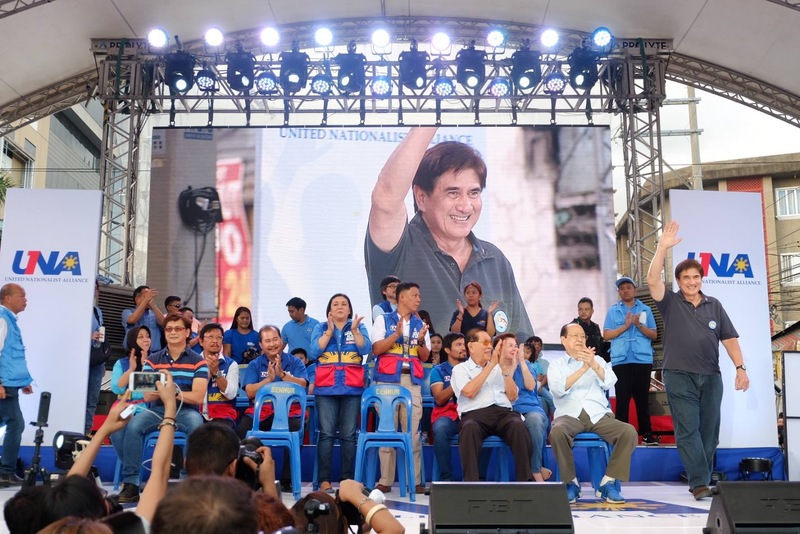 With almost 20 years of legislative experience, it comes as no surprise that Senator and now vice presidential candidate Gregorio “Gringo” Honasan is well-versed in a wide variety of national issues. During the four times he was elected in the Senate since 1995, Honasan has been one of the country’s most productive lawmakers having authored or co-authored several significant landmark legislations such as the Clean Air Act of 1999, the Clean Water Act, Republic Act 8368 that decriminalized squatting, the National Security Policy, the Solid Waste Management Act of 2000 and the POGI bill or as most people know it, the Freedom of Information or People’s Ownership of Government Information Act of 2012. “There is also the National Disaster Risk Reduction Management Law which is being applied whenever calamities like typhoons and earthquake strike. There’s the Firearms and Explosives laws; Anti-Drunk Driving, three extensions of the Agrarian Reform Law to address the needs of the agricultural sector, the most oppressed sector in the country,” he added during a recent interview with OrangeTV magazine. Senator Honasan agrees that the job of the Vice President is indeed to wait. But that is not necessarily to simply wait to take over the presidency in case the highest official of the land can no longer exercise his official duties and functions. In recent years, the Vice President has, in fact, played a vital role in nation building. Even with a very active and hands-on president, the VP can become equally busy with whatever portfolio is handed to him by the chief executive. “In the case of Vice President Binay who is the presidential standard bearer of our party UNA, he has given me the housing sector and OFW concerns. I think, if I were to be asked, I would also volunteer to craft a pro-active and responsive national security policy and strategy in whatever capacity that will address our problems at home so that we can give our 100 percent focus on our problems abroad like Western Philippine (Sea) issue,” Honasan revealed. 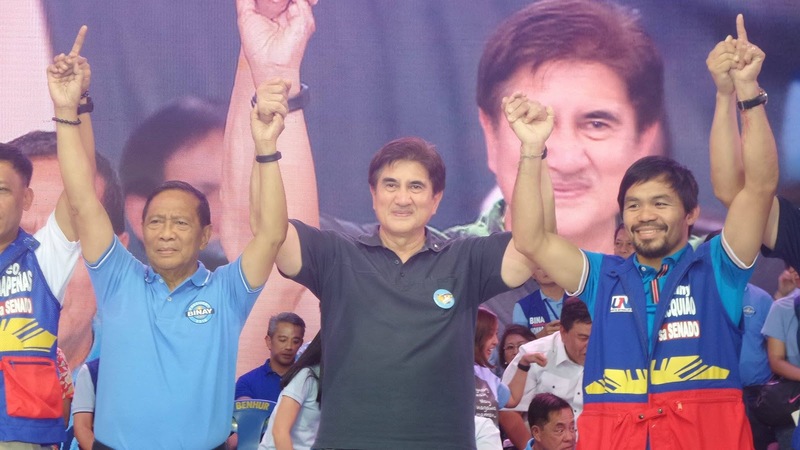 In addition to his and his party’s platform of government and like any other candidate vying for an electoral post in the national level, Honasan is often asked about his stand on several burning issues. Given his military background and his past role in the controversial Reform The Armed Forces Movement, there are concerns on how he will respect the human rights of the perceived criminals that he will go after if elected. “We must never forget those that even those alleged criminals, those violators of the law have rights that must also be respected. Our society has no room for summary executions. There must be due process and applied rule of law,” Honasan stressed. With regards to the issue of lowering income taxes which is also part of the platform of other presidential candidates, Honasan agrees that it should definitely be reduced. “Taxing our people, especially those who are already having a difficult time should be the last option. They say there are two sure things in life: debt and taxes. Taxes are meant to accelerate debt or accumulate debt to inflict more taxes on our people. So, I am for reducing it at all cost and considering it as a last option, especially when it hits the middle class and the lower class,” he pointed out. On the Bangsamoro Basic Law that is being pushed by several quarters and largely supported by the present administration. “The BBL in its present form is not good for us. There are infringing violations of the constitution. That’s why it has been debated on, in the Senate. And I don’t see any end in sight. You know, when we talk about BBL, you cannot make it synonymous with the peace process because the peace process does not simply mean an end to the armed conflict,” Honasan explained. The senator said that as a soldier, he spent many years fighting in Mindanao and he knows what happens when government and the rebels go into what he calls a “vicious cycle” from peace talks to violation of the peace process. On renaming the Freedom of Information Bill to the People’s Ownership of Government Information bill or POGI, Honasan said it’s because the government is for the people, by the people and of the people. “Transparency. This painful experience with PDAF and DAP could have been avoided kung may FOI bill tayo. And of course, except for sensitive issues related to foreign policy and security policy, everything should be transparent - open to our people for discussion, for debate, even for question,” he mused. While Honasan is all for pushing FOI, he also understands the aversion of government to it. With FOI, anyone can demand information.